Our delicious Italian sugar cookies are frosted with a traditional royal icing. Cookies start at $48 per dozen and include wrapping with ribbon tie. They can be customized specifically for your event. 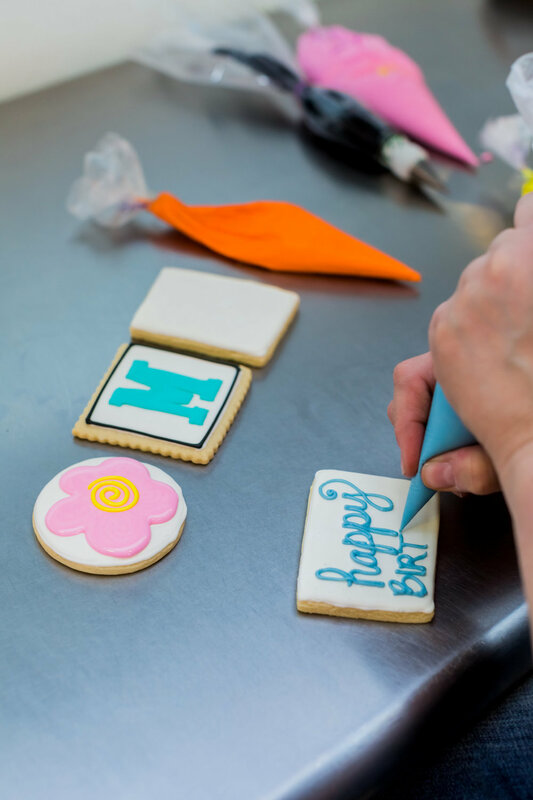 Logos or photographs can be printed with our ‘top of the line’ bakery printer and placed on top of your cookie with icing. Two week advance and two dozen order minimum to place a custom order. The cookies will last up to three weeks sealed individually in a bag or air tight container. We can ship our cookies nationwide. Please call ahead for delivery options & availability! All of our treats are made in house from scratch using only the finest ingredients.We use only real dairy butter, unbleached wheat flour, pure cane sugar, fresh fruit and natural flavors.